Amid persistent issues of mold-infested dorms and flooded buildings, Board of Trustees chairman Michael Seeve told students tuition is likely to rise at the William Paterson University 2020 fiscal year hearing in the David and Lorraine Cheng Library Tuesday, March 5. 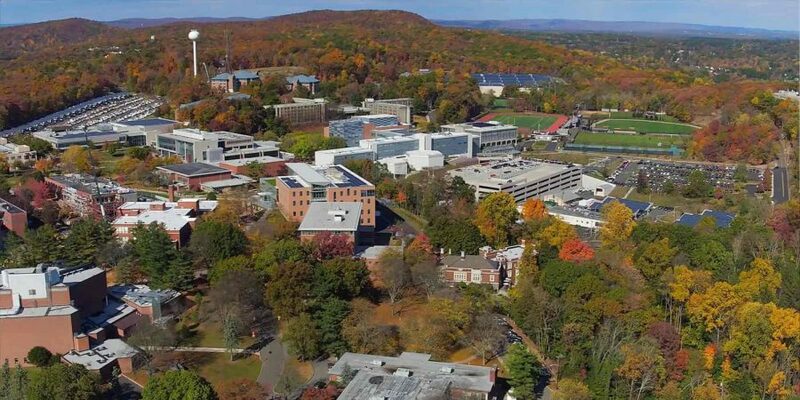 The main reasons cited for raising tuition were payroll salaries, cost of maintaining campus grounds, optimal level of services and opportunities, attracting quality professors, food services and dorms. It is uncertain how much tuition will rise, but the university has historically kept increases at a 2 percent rate, according to Miki Cammarata, vice president for Student Development, who was also in attendance. The news also comes amid the development of Skyline Hall, a new residence hall described as a more “modern” facility than its predecessors. It will house sophomores through seniors and is scheduled to open in July. The cost of Skyline Hall is still undetermined, but some students at the hearing voiced the opinion that the money for its construction would be better spent fixing issues in the current residence halls. Last semester, hazardous mold impacted the health of students in several dormitories including Heritage Hall and Hillside Hall. Cold showers, power malfunctions, bursting pipes, broken laundry machines and issues with heat in the wintertime have also affected students. The university is prioritizing new facilities and renovations to attract new students, according to the board at the hearing. WPU has failed to meet its stated enrollment goals for a few years, according to Stephen Bolyai, vice president of Admissions and Finance. During the hearing, Cammarata said that the Board is aware of students’ dissatisfaction with the dining hall and that her department is working to fix the issue. William Paterson’s contract with dining partner Sodexo expires next year. “Our dining facility is quite outdated compared to other facilities,” Cammarata said. “In some others, the food is cooked in front of students.” She said a group with all-student input, with the unofficial name “WP Foodies” is being created to improve the dining hall. “Working with companies that want long contracts can be a challenge in achieving student wants,” Cammarata said. Cammarata said that there are no official plans to renovate the Student Center, however. Before any advancements are made, the Board of Trustees needs to take a look at their annual revenue, consider long-term plans and create a capital plan. The Board typically sells bonds and borrows money from banks for projects. During the hearing, what students voiced concern about the most when considering a possible tuition increase was whether they could figure out a new financial plan in time. This concern was brought up at the hearing by Rajaun Hailey El, a junior Music major. “If students don’t know if they have money to pay for their classes, they can’t register for them,” said Ruth Alabi, a WPU junior. Student Enrollment Services offers meetings and workshops to help students through the financial aid process, some of which directly guide students through the process.”Come see us sooner, register earlier, get FAFSA done earlier, bring in your documents sooner so that your bill is more accurate,” said Torres.